PUEBLO –Colorado State University-Pueblo’s Music Department will host keyboard artist Tamir Hendelman next week, who will present a performance/lecture as well as session for students on business approaches for professional performing musicians. Hendelman will perform at 4:30 p.m. on Friday, Feb. 17 in Hoag Recital Hall. The event is free and open to the public. 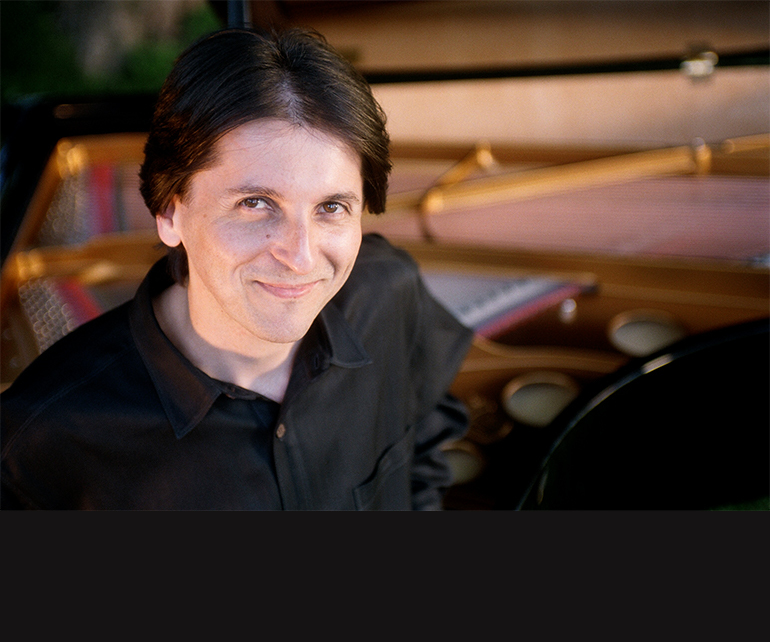 Born in Tel Aviv, Hendelman began keyboard studies at age six, moving to the U.S. in 1984 and winning Yamaha’s national keyboard competition two years later. Concerts in Japan and the Kennedy Center followed. Drawn to the impressionistic and jazz harmonies of composers such Ravel and Bill Evans, he studied at the Tanglewood Institute and received a B.M. in Music Composition from Eastman School of Music in 1993. After a brief period exploring film scoring, he focused on jazz piano, forming his own trio, which features original compositions, bebop, blues and Brazilian music. He was a soloist with the Henry Mancini Orchestra in 1999. Since 2000 he has toured the U.S., Japan, and Europe with his trio and as a member of the Jeff Hamilton Trio and the Clayton-Hamilton Jazz Orchestra. Having received awards from ASCAP and the National Foundation for Advancement in the Arts, Hendelman was musical director was for the Lovewell Institute, a national arts education non-profit organization. He has also become a first-rate arranger and accompanist for some of today’s premier vocalists, such as Natalie Cole, Roberta Gambarini, and Jackie Ryan. He has accompanied Barbra Streisand in her return to jazz on Love Is The Answer (Columbia, 2009), at the Village Vanguard as well as on her 2012 North American orchestral tour. He also musically directed classical vocalist Julia Migenes’ genre-bending 2005 release, Alter Ego. Since 2005, Tamir Hendelman has been on the jazz faculty of UCLA and has conducted numerous workshops in universities and music programs in the U.S. and abroad. He has released two recordings as a leader of his trio: Playground (Swing Bros, 2008) and Destinations (Resonance 2010). Reaching #1 on the jazz charts, Destinations takes listeners along on a voyage of musical discovery. The music ranges from originals to Jobim, Keith Jarrett and Maurice Ravel.